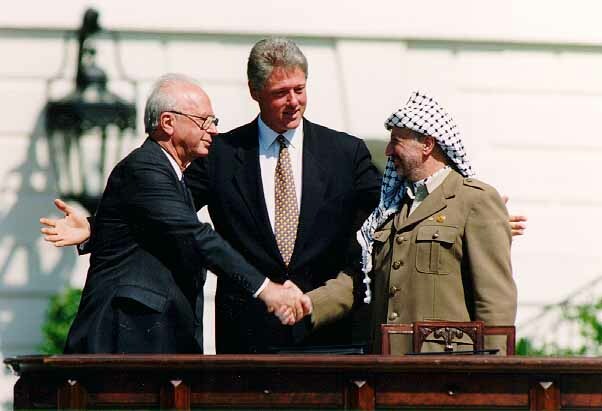 The controversy over the Oslo Accords, which bitterly divided the nation over the past quarter century, is no longer a contentious issue. The late Prime Minister Yitzhak Rabin personally told me on numerous occasions of his concern that the deal with Yasser Arafat, whom he despised as a murderer, was a gamble that Israel had to take in order to satisfy itself and the world that it had sought every opportunity to achieve peace. 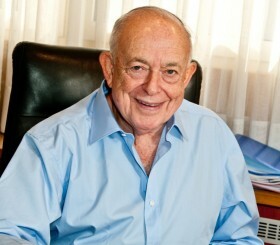 In contrast, Shimon Peres, then foreign minister, in response to a few critical questions I posed in the days after the Oslo announcement, lost his cool and angrily stated, “They took Entebbe away from me, but they will never do the same with the peace process.” Today Peres is possibly the sole remaining senior politician who still maintains that the deal with Arafat and the Palestine Liberation Organization should be retained as the basis for a peace settlement. 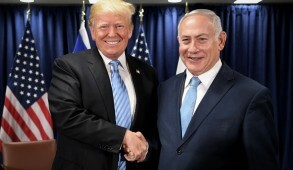 The consensus, extending beyond right-wing politics, which recognizes the failure of the Oslo Accords, was articulated by the former director general of the Foreign Ministry, Professor Shlomo Avineri, an esteemed intellectual doyen of the Zionist Left. In an article published last October in Haaretz, Avineri enumerated a host of reasons on both sides that contributed to the failure. But overriding these was the fact that the Palestinian position did not consider the conflict as territorial but regarded all of Israel as a colonial implant which had to be uprooted. Avineri concluded that we are obliged to face the reality that there is no way Israel could achieve any mutually acceptable peace agreement in the foreseeable future. His views were echoed by one of the key architects of the Oslo Accords, former minister Yossi Beilin, who, at a recent U.N. Media Seminar, stated explicitly that the Oslo Accords must end. As he said, “Too many Israelis fear that a one-state marriage would destroy either our identity as a Jewish state or our claim to democracy. 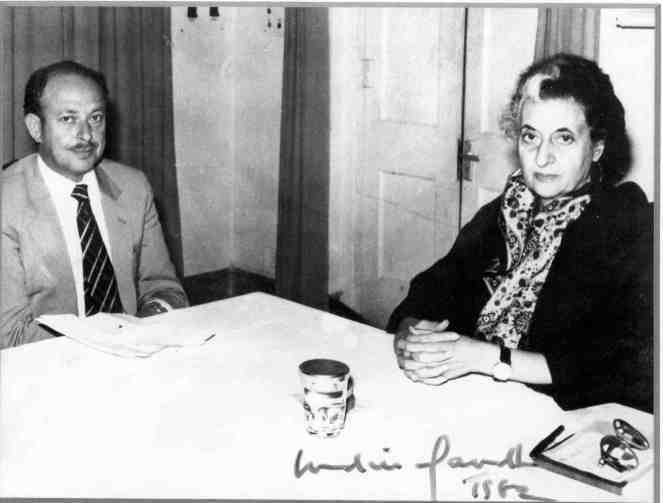 And a two-state divorce is unlikely to produce a prosperous and stable Palestine.” He concluded that the best solution now would be an Israeli-Palestinian confederation. 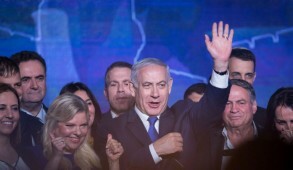 Unsurprisingly, Herzog blamed Prime Minister Benjamin Netanyahu for the impasse, but the fact remains that the leader of the Israeli Left has effectively joined the Israeli consensus which believes that under the current circumstances, the creation of an independent Palestinian state is not even on the horizon. However, in no way does that imply that there has been any strengthening of support for those calling for annexation of all the territories, who remain a very small proportion of the electorate. Most Israelis recognize that they cannot retain their Jewish identity if they absorb millions of additional Arabs. 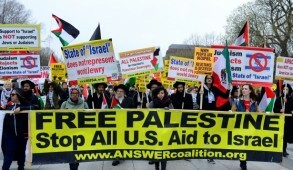 But in the short term they seek at least to separate themselves from the Palestinians. A small but noisy group of delusional far leftists still consider the duplicitous Palestinian Authority President Mahmoud Abbas as a peace partner. But Herzog seems to be attempting to sever connections between Labor Zionism and the post-Zionists and anarchists. Indeed, he has shaken up the political community by lurching to the right and calling for extending Sharon’s separation barrier to protect the major settlement blocs — areas that would remain in Israel irrespective of what happens to the Palestinians. Herzog makes it clear that in any future confidence-building initiatives and outreach to the Palestinians, the Israel Defense Forces would of necessity retain control of the West Bank and Jordan Valley. With Herzog on board there is now a consensus for the major policies toward the Palestinians, extending from the left Zionist Union through to Avigdor Lieberman’s far-right Yisrael Beytenu. Having attained this consensus, it is simply outrageous that the various political leaders fail to act in the national interest, temporarily set aside their own political ambitions, and unite in the face of the great pressures we face. This is particularly egregious given the dangers we are likely to encounter in the coming months, during U.S. President Barack Obama’s remaining term in office. The entire Middle East, apart from Israel, is a bubbling cauldron of barbarism reminiscent of the Dark Ages. At our doorstep, mass murder, executions and massive population displacements are rampant as the Sunnis and Shiites butcher each other. ISIS now poses a threat throughout the entire world. In his desperation to appease and grovel to the genocidal Iranians, Obama has lifted all sanctions and they will now be receiving in excess of $150 billion dollars, much of which U.S. Secretary of State John Kerry concedes will be used to intensify its global terror operations and plans to wipe Israel off the map. Europe is in chaos and the impact of millions of Muslim refugees will further destabilize the area and intensify the record high levels of anti-Semitism. Unfortunately, this has not diverted the EU from furthering its biased and selective harassment of Israel. At such a time, one would have expected the U.S. to support or use its influence to defend its longstanding ally. However, while presidents in their last year in office are usually lame ducks, it seems clear that Obama is determined to continue pressuring Israel and will use the Europeans to do likewise. There are even hints that the U.S. may abandon us at the U.N. by refrain from a veto, enabling the Security Council to pass resolutions pressing Israel to return to the indefensible 1949 armistice lines. When American Ambassador to Israel Dan Shapiro accuses Israel of adhering to “two standards of law” in the West Bank — one for Israelis and one for Palestinians — and criticizes the failure of Israel to adequately control Jewish terrorism, claiming that “too much vigilantism goes unchecked,” it sends clear signals that we should gird ourselves for further onslaughts from the U.S. administration. It is unprecedented for the U.S. to publicly besmirch an ally in this manner. Shapiro disregards our government’s implementation of the tough policy of treating Jewish extremist suspects in a similar manner to Arab terrorists. Such statements ignore the Palestinian religious fanatics who are incited daily to kill Jews and be rewarded with Paradise. It was utterly insensitive of Shapiro to make such utterances the day after a mother of six had been murdered in her home and on the day a pregnant woman had been stabbed. 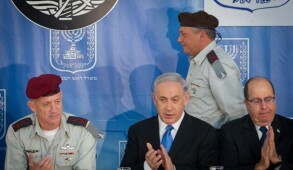 This wretchedly biased condemnation of Israel took place as Obama outraged the traditional allies of the U.S. by groveling toward the Iranians, the foremost global sponsors of terrorism, who displayed their disdain for him by reiterating their contempt for the U.S. and publicly humiliating American sailors who they claimed trespassed their waters. The outburst by Shapiro therefore has to be viewed within the context of an impending new European onslaught against Israel. One of the strongest weapons to deter Obama from throwing us to the wolves would be the formation of a unity government. This would refute the myth that the fault lies with an extreme right-wing Israeli government and undermine the reasoning that justifies pressuring such a government to make unilateral concessions. It would strengthen the American people’s support for Israel and would perhaps shake up and bring on board the Jewish communal leadership whose shameful silence in the face of some of the U.S. statements besmirching Israel has been deafening. Netanyahu, Herzog, Yair Lapid and Avigdor Lieberman should get off their high horses, work in the national interest and agree to form a unity government. The people of Israel are entitled to this during these trying times of mounting global hostility. If they have any sense of responsibility, our leaders should ask themselves how history will judge them if they fail to rise to this occasion.